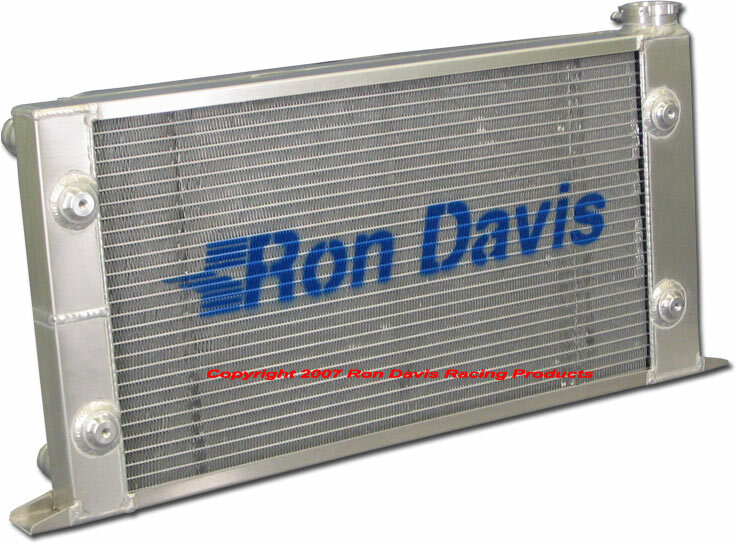 From staging lanes and return road trips to quick cool downs between rounds, Ron Davis drag racing radiators are engineered for maximum performance. 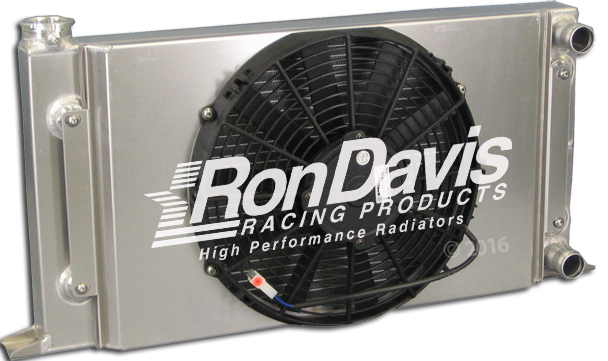 Made with the latest technology and skilled craftsmanship, Ron Davis Radiators have been dominating the drag strip since 1976. 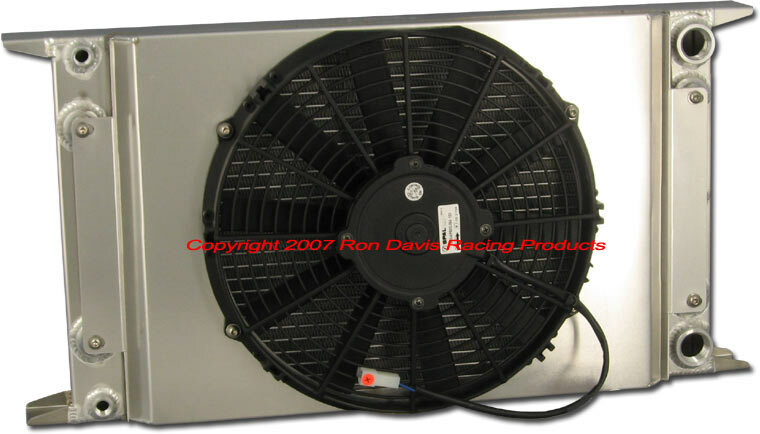 5.5" thick including fan with 1�" hose connections on the passenger side and four (4) �"-20 mounting bosses on the front side. 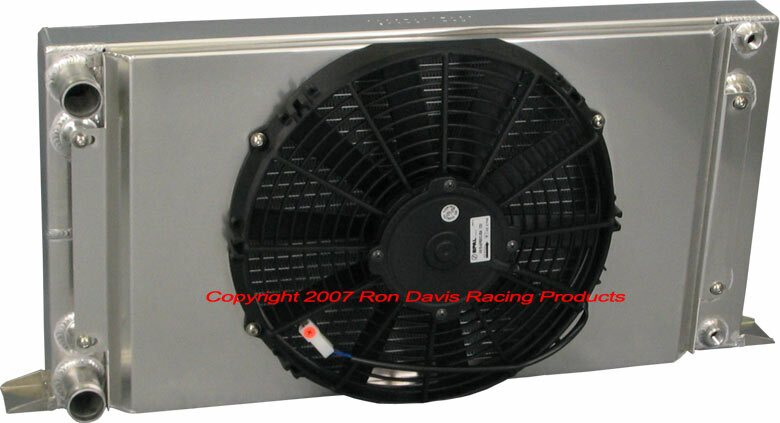 This Ron Davis Drag Racing Radiator come with a 12" Spal Fan and it also accepts a standard pressure cap. Purchase from our beta site here! 5.5" thick including fan with 1�" hose connections on the passenger side and four (4) �"-20 mounting bosses on the front side, and a �" female pipe fitting for bleeding the system. 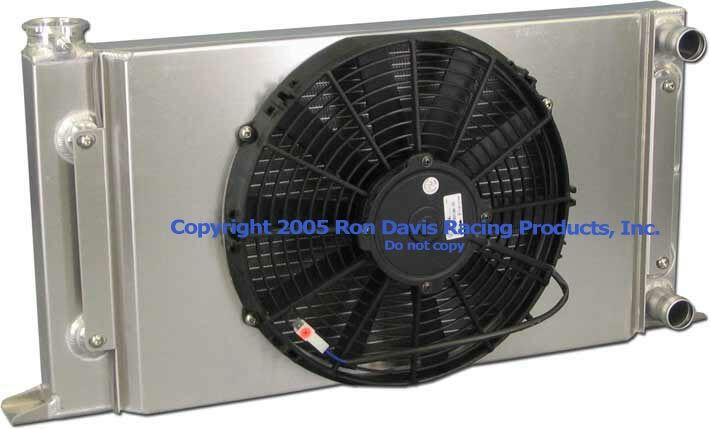 5.5" thick including fan with 1�" hose connections on the driver side and four (4) �"-20 mounting bosses on the front side, and a �" female pipe fitting for bleeding the system. 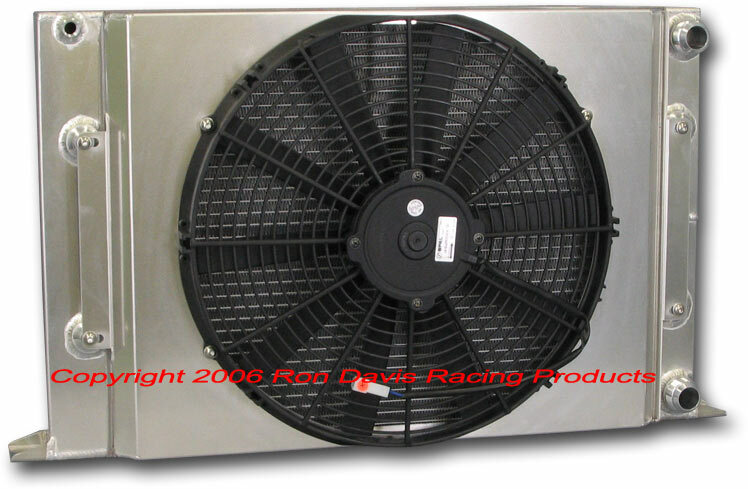 Designed for both door slammers and dragsters. 5.5" thick including fan with 1�" hose connections and two �" female pipe fittings for bleeding and draining the system. 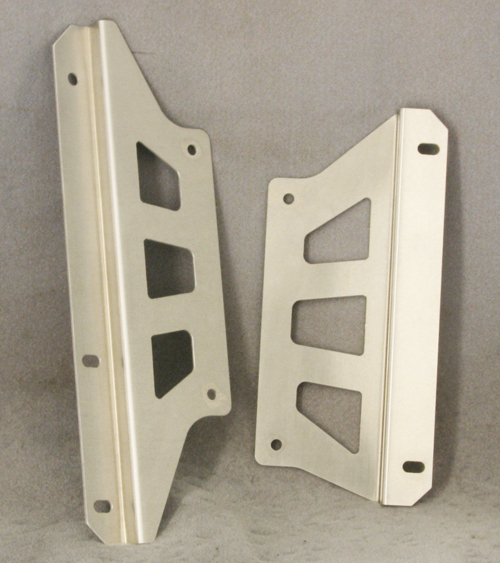 It also includes mounting brackets welded on all four corners. Designed for both door slammers and dragsters. 5.5" thick including fan with �" female pipe inlet and outlet connections and two �" female pipe fittings for bleeding and draining the system. It also includes mounting brackets welded on all four corners. 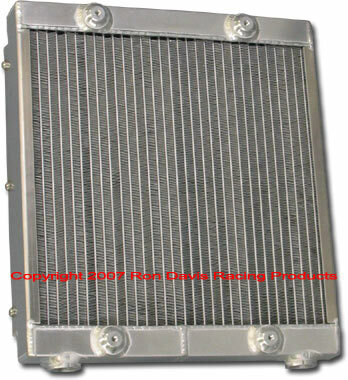 Designed for both door slammers and dragsters. 5.5" thick including fan with #16AN male hose connections and two �" female pipe fittings for bleeding and draining the system. 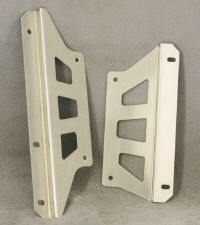 It also includes mounting brackets welded on all four corners. Perfect for cars weighing over 2800lbs. 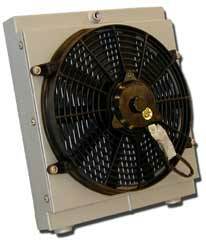 5.5" thick including fan with 1�" hose connections on the passenger side and four (4) �"-20 mounting bosses on the front side, it also accepts a standard pressure cap. 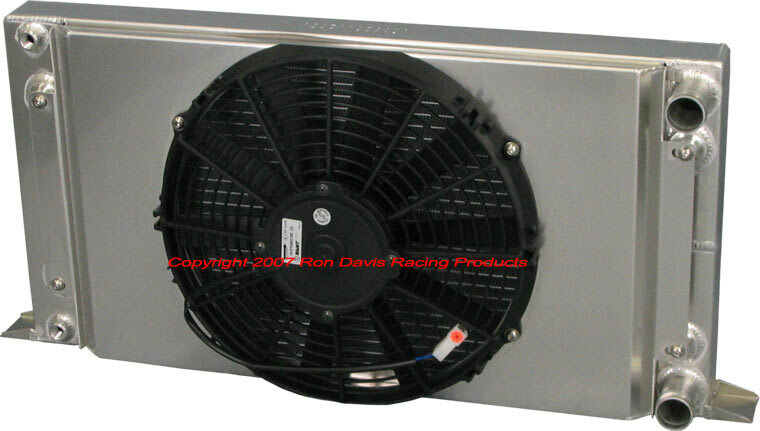 $771.00 USD plus shipping Perfect for cars weighing over 2800lbs. 5.5" thick including fan with #16AN male hose connections on the passenger side and four (4) �"-20 mounting bosses on the front side, and a �" female pipe fitting for bleeding the system. 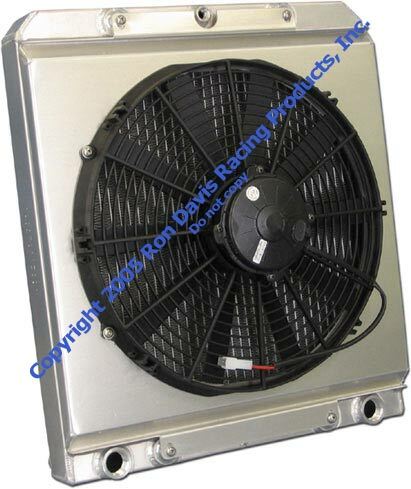 Designed to be mounted upright behind the driver or be laid down above the transmission. 5.5" thick including fan with �" female pipe inlet and outlet connections and a �" female pipe fitting at the top. Also includes four (4) �"-20 mounting bosses on the front side. Ideal for mounting above the transmission. 5.5" thick including fan with �" female pipe inlet and outlet connections and a �" female pipe fitting at the top. It also has four (4) �"-20 mounting bosses on the bottom side. 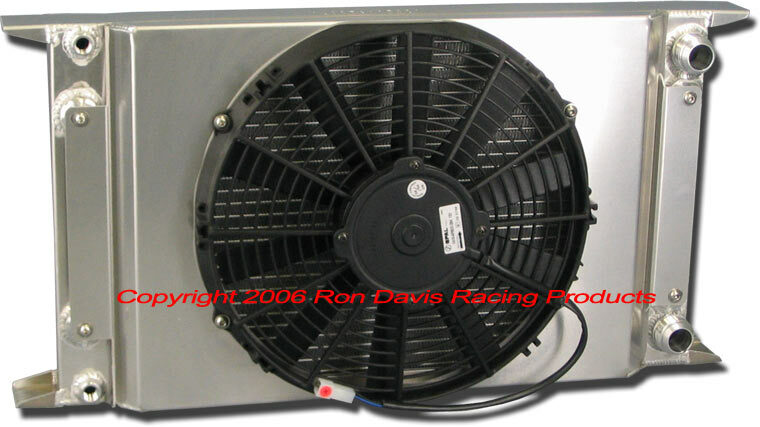 Copyright 2012 Ron Davis Racing Products, Inc. All rights reserved.